Weed. Marijuana. Grass. Pot. Whatever you prefer to call it, America's relationship with cannabis is a complicated one. In his directorial debut, hip hop pioneer Fab 5 Freddy (Yo! MTV Raps) presents an unparalleled look at the racially biased history of the war on marijuana. 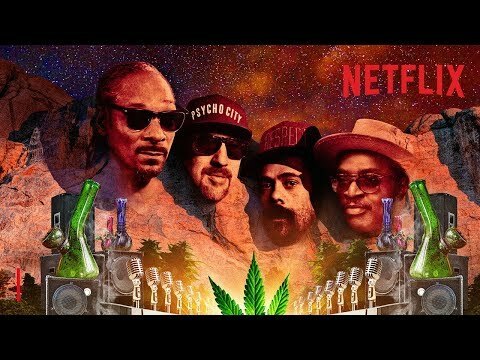 Snoop Dogg, Cypress Hill's B-Real, and Damian Marley join a range of celebrities and experts who discuss the plant's influence on music and popular culture, and the devastating impact its criminalization has had on black and Latino communities. As more and more states join the push to legalize marijuana, Grass is Greener dives deep into the glaring racial disparities in the growing cannabis market. Features interviews with Snoop Dogg, Cypress Hill's B-Real and Sen Dog, DMC, Doug E. Fresh, Chuck D, Damian Marley, Killer Mike and more. Grass Is Greener was released on Netflix 3d ago in the US and the UK. Notify me when Grass Is Greener is available.